I'm very happy today to welcome back to the blog the lovely Helen Grant! 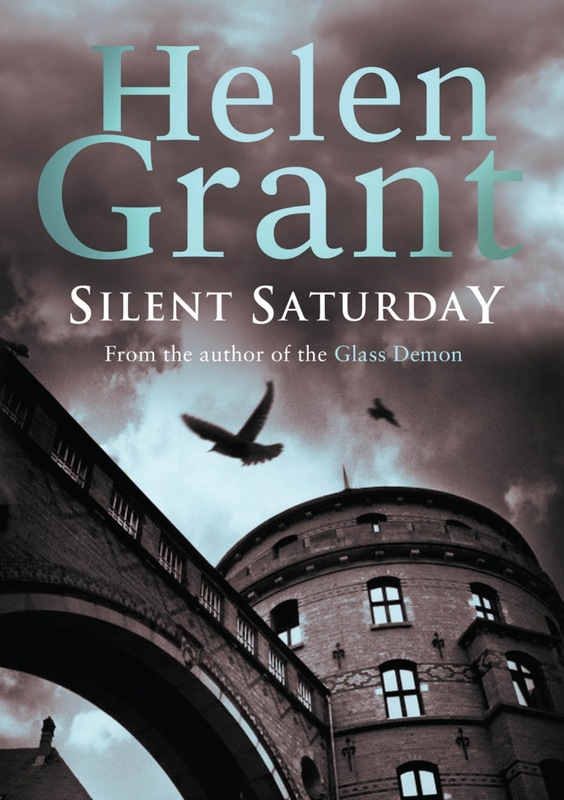 Today, Helen is here asking some very difficult questions about involving the situations that the characters, Veerle and Kris, find themselves in in her latest book, Silent Saturday. Really, what would you do in the same place?! Helen Grant was born in London but has lived in Spain, Germany and Belgium. Her first novel,The Vanishing of Katharina Linden, was inspired by her time in Germany and is set in the town where she lived. It was shortlisted for the CILIP Carnegie Medal and won an ALA Alex Award in the USA. Helen's latest book is called Silent Saturday and is the first in a trilogy of YA thrillers set in Flanders. 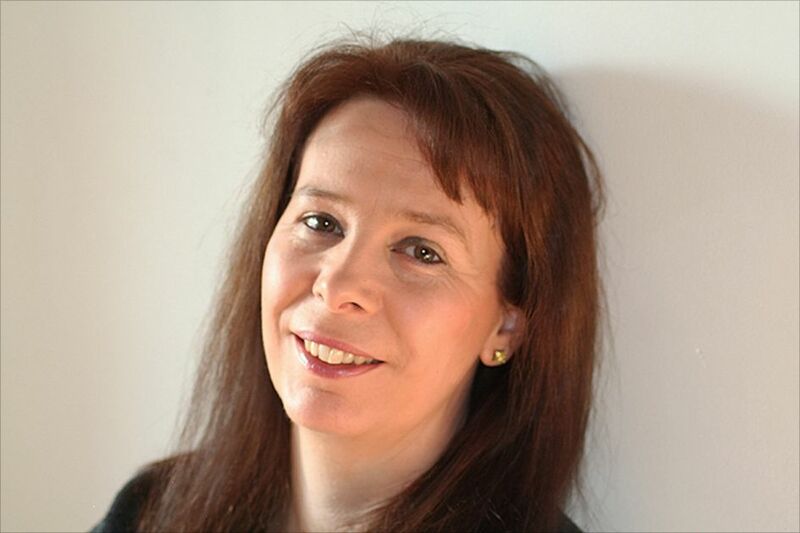 Helen now lives in Scotland with her husband, two children and two cats. If you saw a murder taking place, what would you do? Would you intervene, even if the perpetrator was much bigger than you? Would you call the police? Or would you sneak away, trying to pretend it had never happened? This is the question that faces Veerle De Keyser, the heroine of my latest book, Silent Saturday. The answer should be pretty obvious – shouldn’t it? If you think you can stop the murder without being hurt yourself, you’d do that. Otherwise you’d have your mobile phone out and be dialling the police before you could say Axe Murderer. Unfortunately, for Veerle the choice isn’t quite as simple as that. She and her more-than-friend Kris Verstraeten belong to a secretive organisation called the Koekoeken (“Cuckoos”) who explore deserted buildings in and around Brussels. Sometimes these buildings are derelict, but sometimes the Koekoeken visit the luxurious homes of rich expats who are away on holiday. They don’t steal or vandalise anything, but what they are doing is, of course, illegal. The owners of the houses are all rich and well-connected people, who would be howling for the severest punishment if they found out. One night, Kris and Veerle visit an opulent villa in a Brussels suburb and see what appears to be a dead body. Veerle’s instinctive reaction is to reach for her mobile phone to call the police, but then she has to think about what will happen if she does. She and Kris are on the property illegally. If she calls the police, they will see her mobile phone number come up, and it can be traced back to her. Then she will have to explain why she was at the house in the middle of the night, when the owners were away. The house is on a quiet and exclusive street and has a large garden with high hedges around most of it. It’s not the sort of property you might pass on your way to somewhere else, and casually glance through the window. There really is no innocent reason why a pair of teenagers would be there, especially after dark. She and Kris could try to intervene in what appears to be going on, but they see enough to know that this would almost certainly be very dangerous. So the choice is really down to calling the police or walking away. They could leave as quickly as possible, find a public call box and call the police from that. However, this is also a very risky plan. Even assuming that there is a call box close by, the area they are in is a very smart residential area bisected by Tervurenlaan, a wide open area with a tram line running down it flanked by roads on either side. After dark, this is not an area that would be crowded with pedestrians. If the police respond quickly to the call, Kris and Veerle may be the only people out on the street. As they don’t have a car, they can’t get away quickly. Even assuming they escape detection at that point, if what they have seen turns into a murder investigation, there is a definite risk that they will be identified. Considering that the area is so expensive and a high burglary risk, there may well be CCTV cameras – Kris and Veerle might be identifiable from the film. Plus, if the police talk to the drivers of the 44 tram who had passed through that night, they won’t have picked up many passengers in the section between Quatre Bras and Villalobar. There is a good chance someone will remember Veerle. Assuming that Kris and Veerle are identified, they are going to have a serious problem explaining how they came to see the body in the first place: what were they doing at the empty house after dark? Worse, if a murder has taken place, they may find themselves on the list of suspects. After all, they will be the last people to have seen the “victim” and they have made an anonymous call to the police, which there is no reason for an innocent witness to do. So, intervening isn’t an option. Calling the police is going to bring down a storm of titanic proportions on your head, if not now, then inevitably later. Of course, you might think back to what you have just seen and ask yourself whether that was in fact a body you saw - whether the person was really dead. Perhaps there was some other explanation. Perhaps they were having a nap, there on the floor. Yes, that was it, you could say to yourself, uneasily. They must have been having a nap. No need to call anyone. The mobile phone has been such a bane to authors ... but you've been very clever about making it a difficult choice! Thanks Candy! You are so right about mobile phones. In my earlier books, set in rural Germany from about 1999 onwards, I could get round them by having areas where there was no signal (actually there are probably still a few of those), but as this one is set in and around Brussels there is no way they wouldn't come into play. It occurs to me after writing these various crime novels that it is a miracle anyone gets away with anything any more, what with mobile phone tracking, CCTV etc! What an amazing guest post, thank you so much Helen! No idea what to do in that situation, what an impossible choice. I really, really loved Silent Saturday and can't wait to read more.